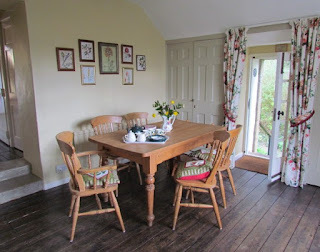 The Gardener's Lodging is a self catering apartment which is a part of a delightful B listed Georgian villa. 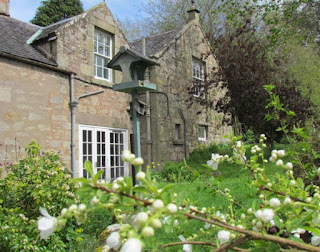 The holiday home is within 1.5 acres of beautiful gardens and just a short walk from the town of Duns, Scottish Borders. This holiday accommodation can sleep up to 6 people. The self catering lodge is very spacious and includes a well equipped kitchen with a Belfast sink, dishwasher, fridge, microwave, dining table and espresso machine. This property is a TV free zone but there is a DAB radio, CD player, books, games, DVDs and WiFi. There are washing facilities available in the shared utility. The area surrounding the property is ideal for walking or cycling as there are many cycle routes and local walks from the door. 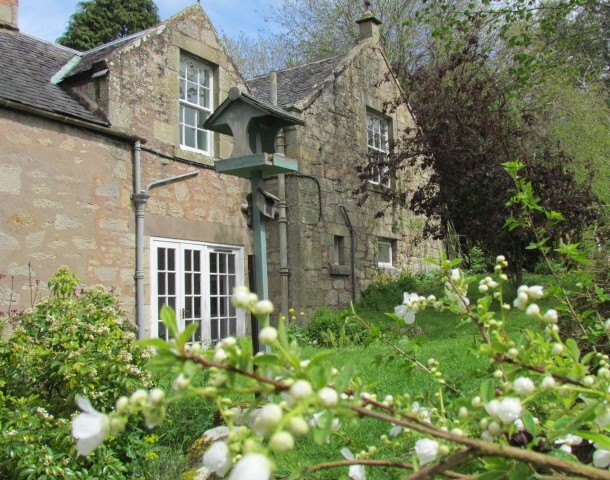 Alternatively, the beach at Coldingham Bay and St Abbs are 20 minutes away by car, with many Border towns, abbeys and stately homes also within the vicinity.